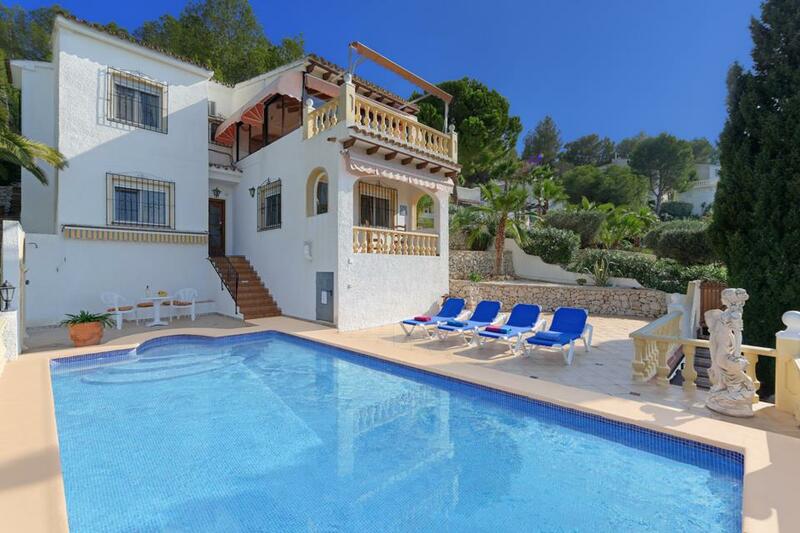 With Moraira only a 5 minute drive away, you have fantastic accessibility to a beautiful resort. 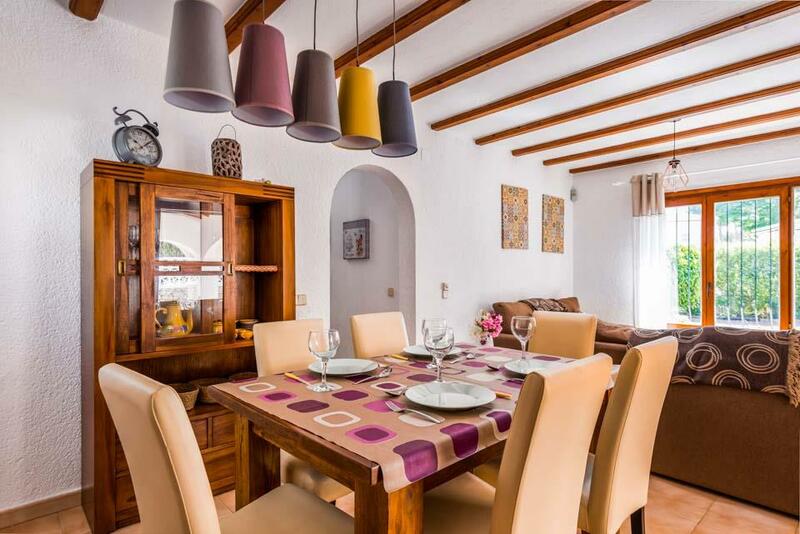 However, Villa Aire will make it difficult to want to leave! 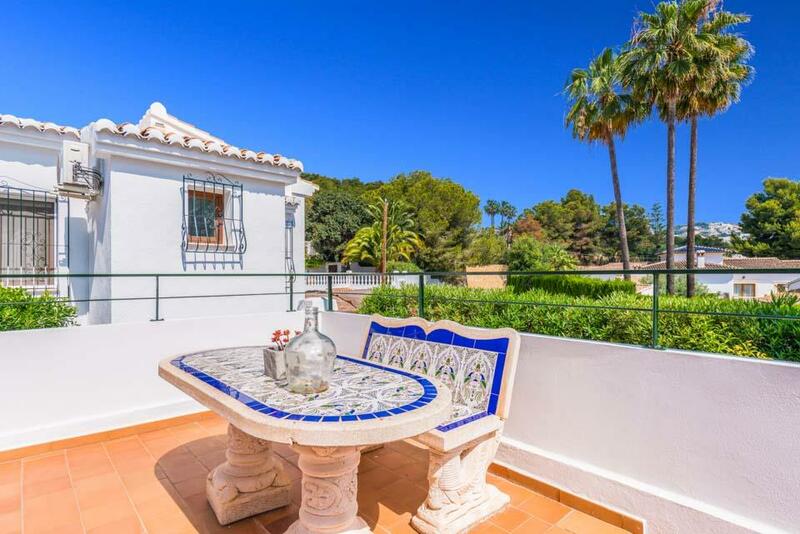 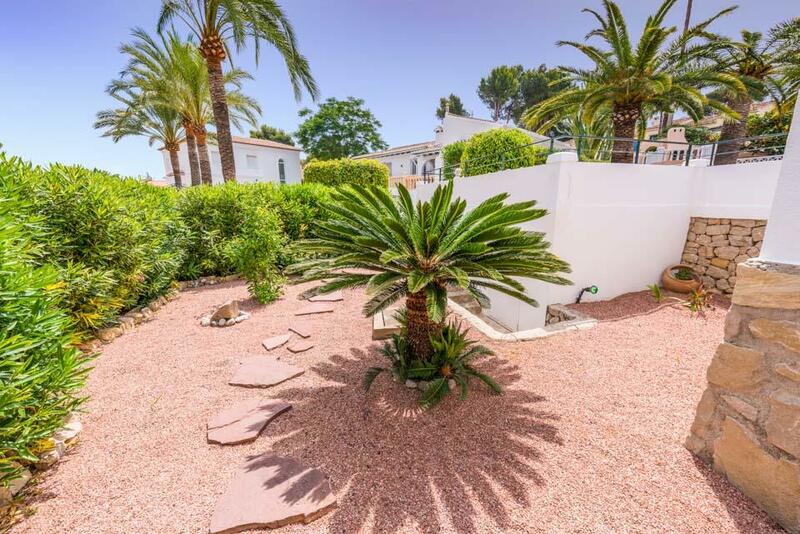 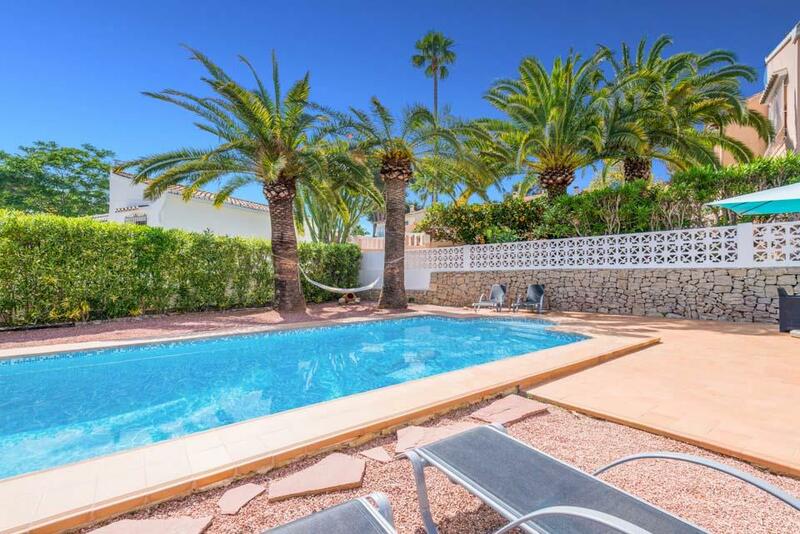 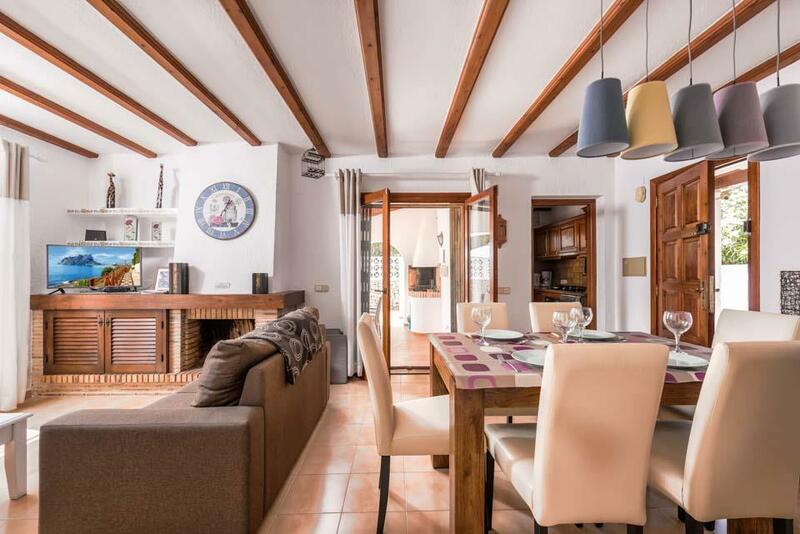 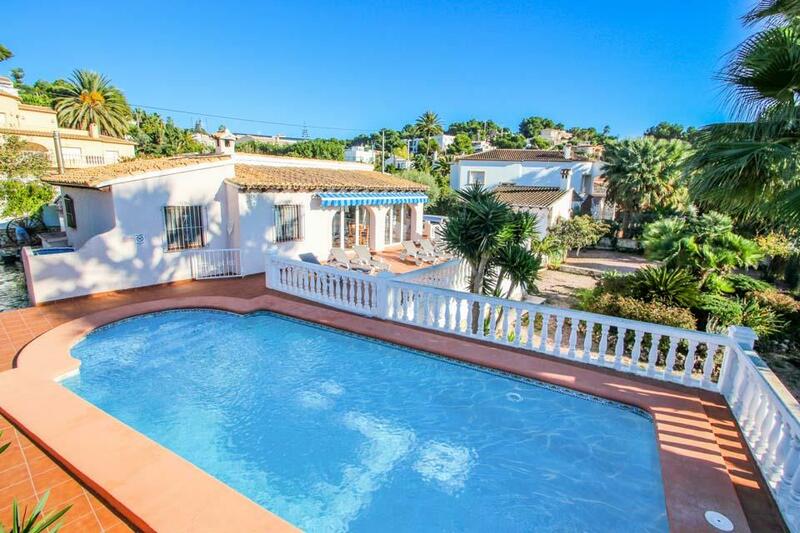 Villa Aire is a fabulous three bedroom villa located positioned in a peaceful residential location, it’s only ten-minute stroll down to the nearby beach at Cala L’Andrago on the outskirts of Moraira. 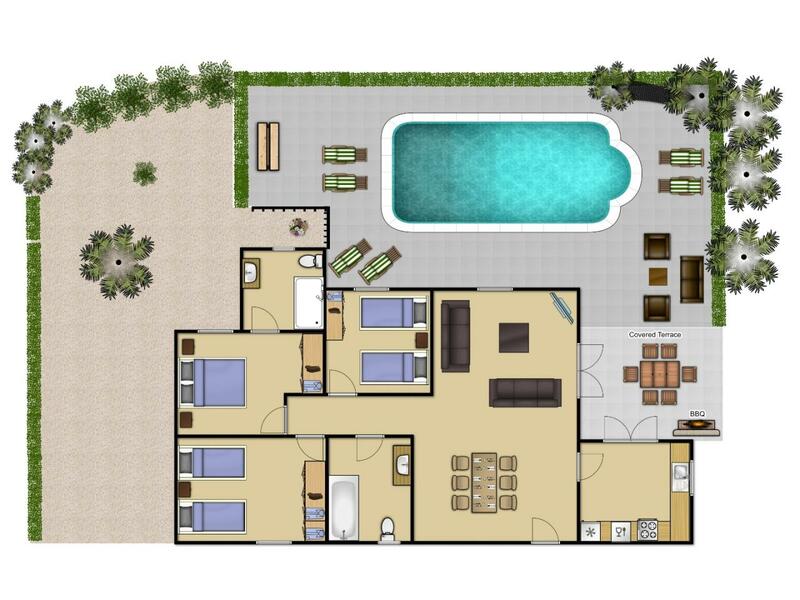 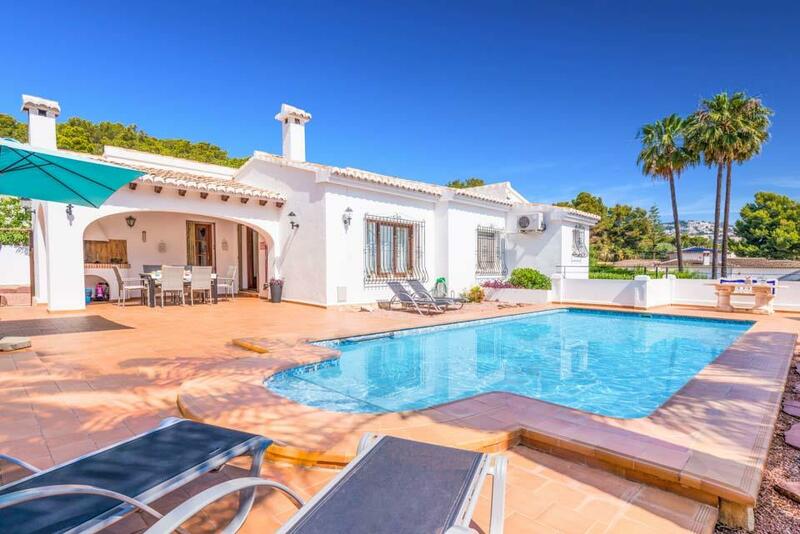 Designed all on one level, this whitewashed villa has been furnished to a modern standard throughout. 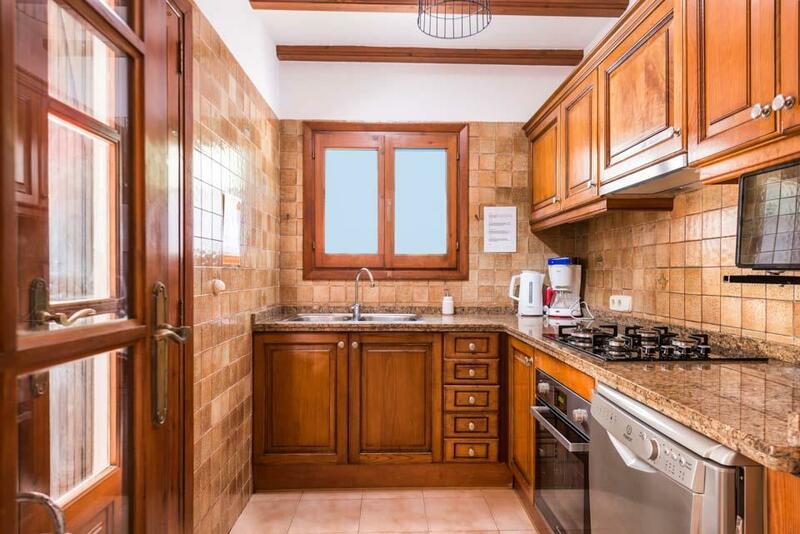 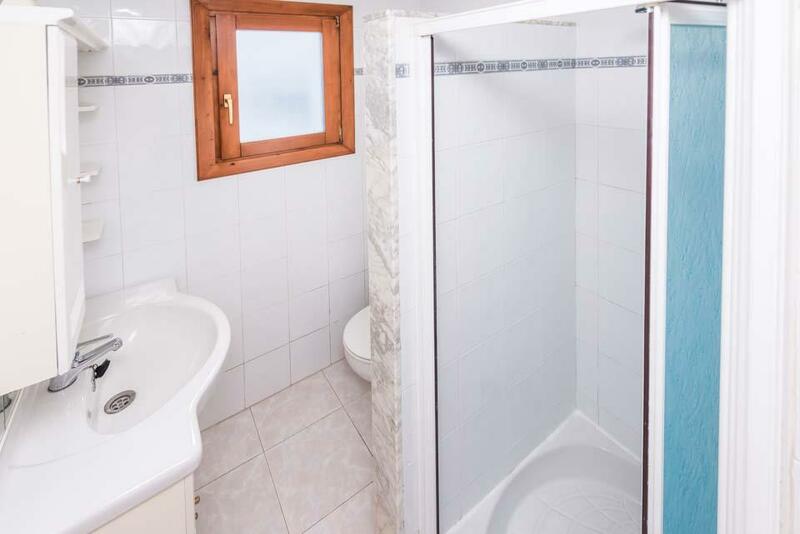 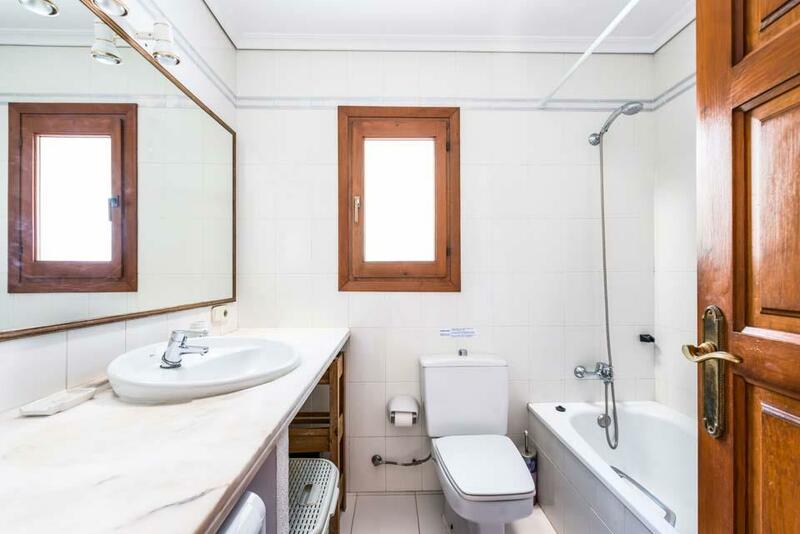 Consisting of a lounge with dining facilities, a fully equipped kitchen, two twin bedrooms share a bathroom and a double bedroom with a shower ensuite, all bedrooms have air-conditioning and Wi-Fi is available throughout the property. 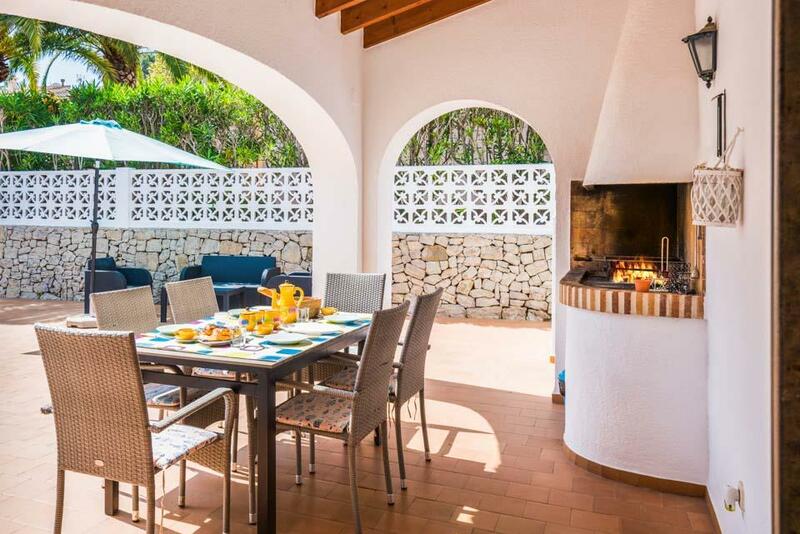 Outside the villa are comfortable rattan sofa and chairs and dining facilities under the shaded terrace area. 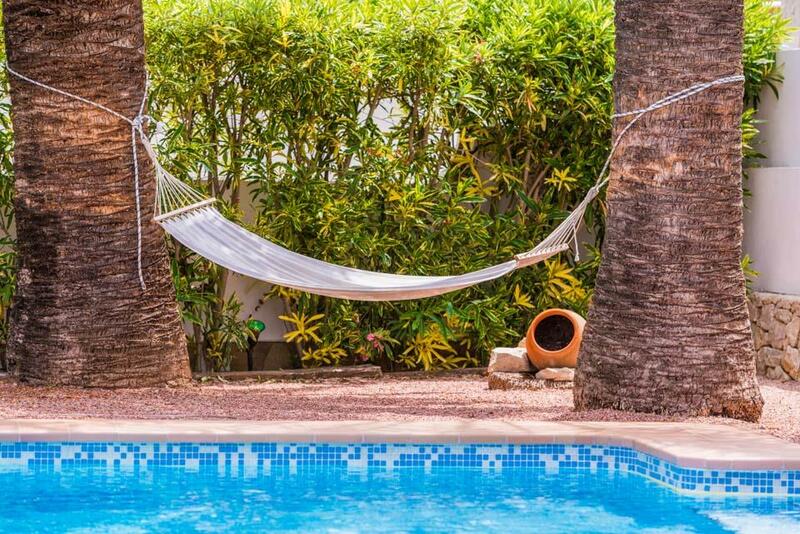 Sunbeds are set around the Roman shaped swimming pool and there is plenty of welcoming natural shaded areas, ideal for retreating to with a good book during the hottest parts of the day. 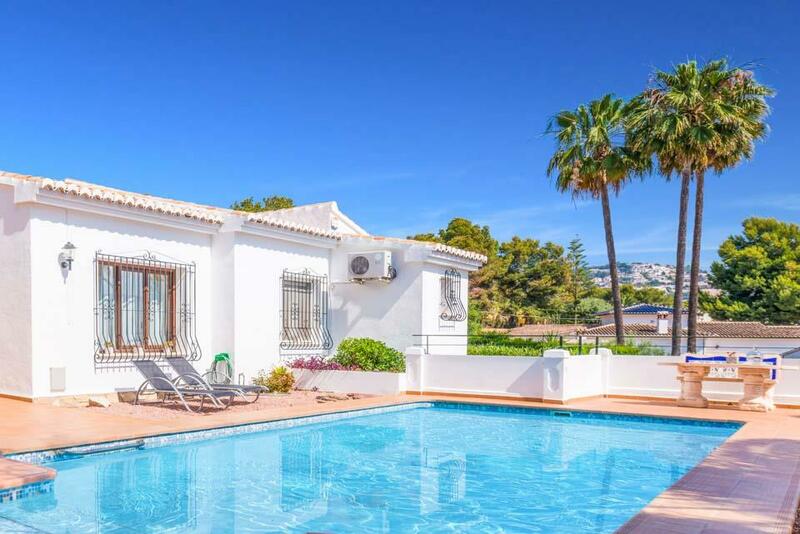 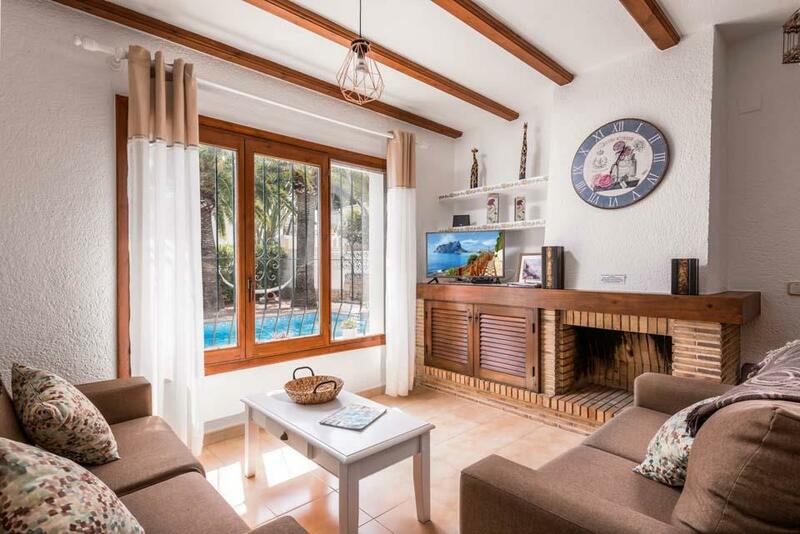 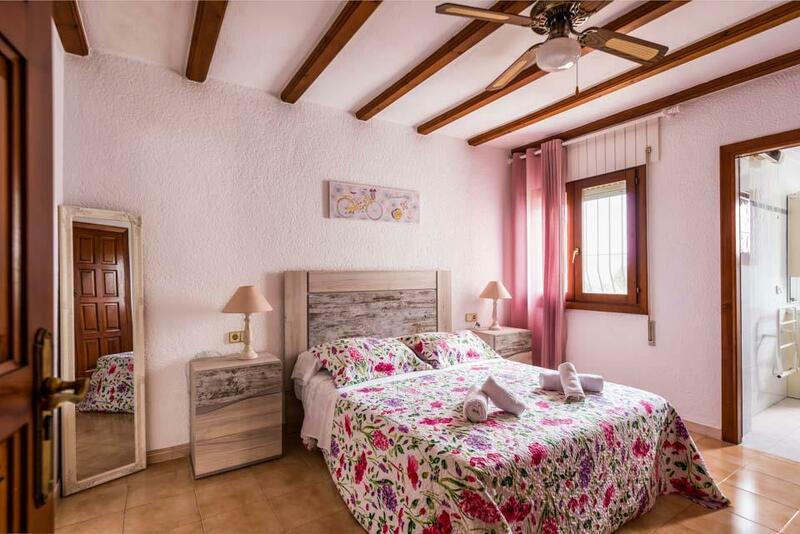 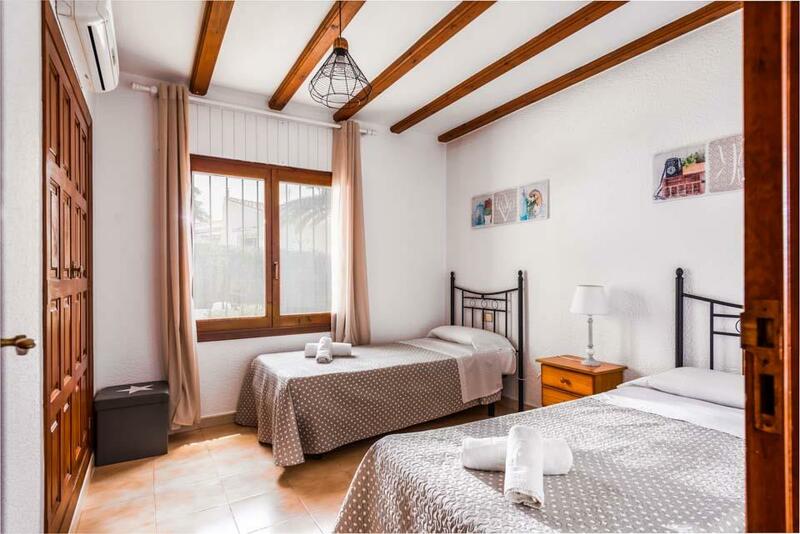 Location of Villa Aire is fantastic, a beach and a selection of amenities are nearby and the pretty beach resort of Moraira is only a 5 minute drive away where a variety of facilities including restaurants, bars and shops are on offer. 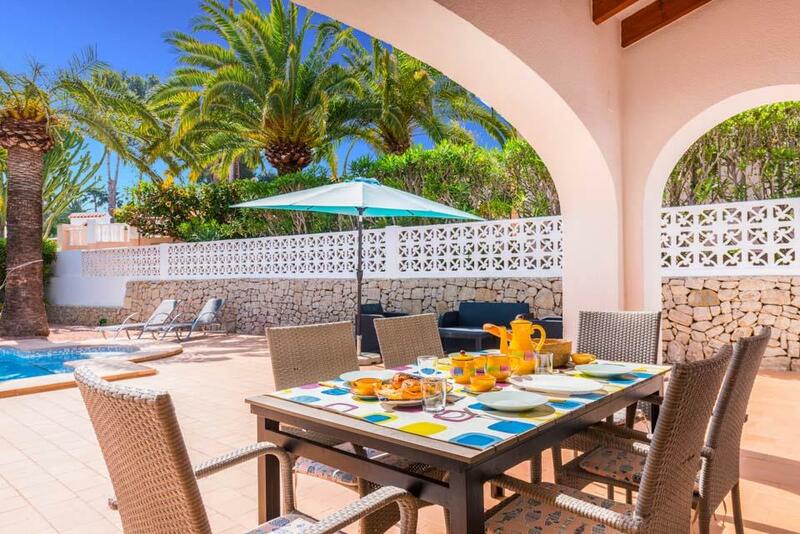 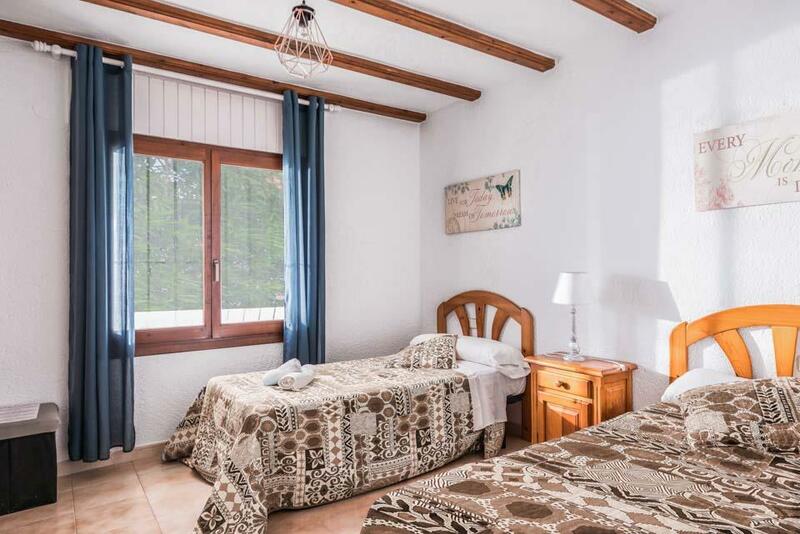 **Save up to 25% by arriving and departing on the standard changeover day**Villa Blanc is a stunning Spanish home, with traditional curved walls, terracotta tiled roof and, as its name suggests, a brilliant facade. 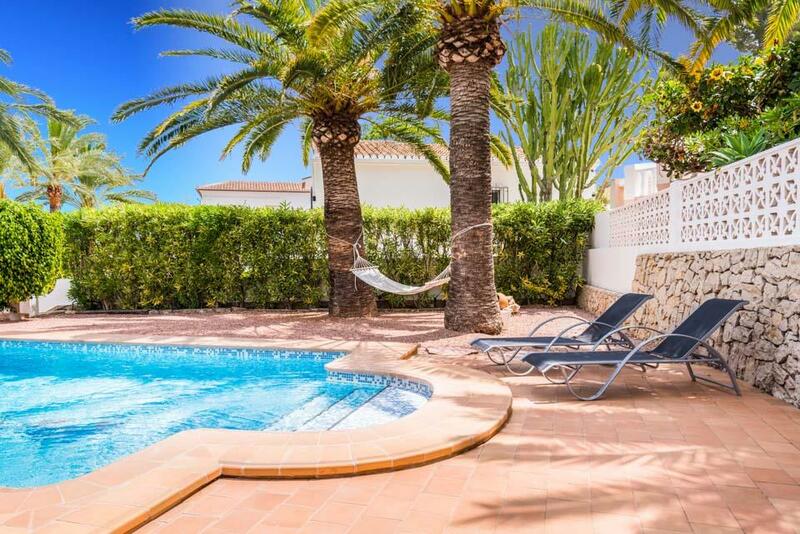 Picture perfect, an azure blue swimming..